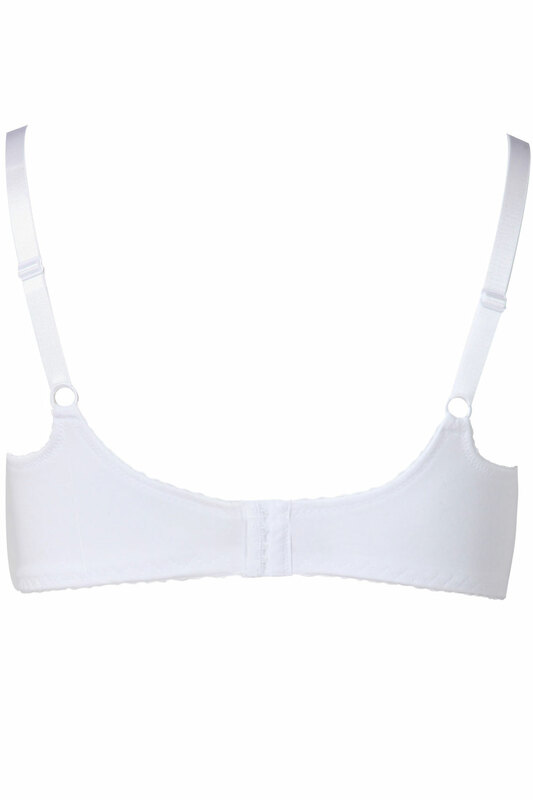 This versatile white bra is made from a stretch lace fabric that is great for everyday comfort. Featuring underwired, non-padded cups with inner sling and adjustable straps for extra support. Complete with pretty satin bow to the front centre.